Southwestern Energy (NYSE:SWN) has again generated interest. A weather-related spike in natural gas prices has again boosted optimism in the sector. It also offers welcome relief as SWN stock has suffered from low natural gas pricing and massive debt. However, weather does not stand as the only reason why investors may buy into Southwestern Energy stock despite the risks. Natural gas investors should thank meteorologists for the recent spike in natural gas prices. We have reached the time in the year where investors become serious about predicting natural gas needs for the winter. Forecasters warn of an “El Niño” pattern this year. This would bring unusually cold weather to the Northeast, Mid-Atlantic, and southern plains in January and February. 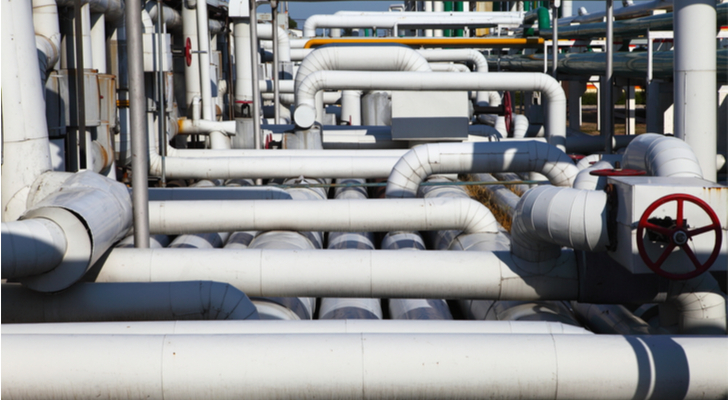 With this pattern, forecasts of natural gas consumption could meet or even exceed predictions. Moreover, the stock appears cheap despite its potential to benefit from such a weather pattern. The SWN stock price stands at just under $6 per share. Despite this low share price, analysts predict the company will earn 94 cents per share this year. Even if an expected drop in profits to 86 cents per share occurs next year, that leaves the price-to-earnings (PE) deep in the heart of the single-digits. The problems lie in other numbers. When one begins to look at the balance sheet, what they will find is a less-troubled version of Chesapeake Energy (NYSE:CHK). Like Chesapeake, Southwestern engages primarily in the exploration and production of natural gas, sometimes called upstream activities. It differs somewhat from Chesapeake since it also engages in midstream marketing and transport activities. However, upstream activities serve as the primary revenue driver. Such firms struggle to survive in low-price environments. Also, unlike their counterparts in oil, natural gas had struggled to gain traction on pricing. However, natural gas prices recently spiked above $3.50 per 1000 BTUs. This should boost Southwestern Energy stock in the near term. However, risks remain. Natural gas has risen substantially from the mid-$2 range seen earlier in the year. Still, we saw prices fall to the mid-$2 range soon after gas spiked to the mid-$3 level late last year. The stock also faces a much larger risk from its debt. As of the end of the third quarter, the company held over $3.96 billion in long-term debt. This remains a less serious debt burden than Chesapeake faces. Still, it imposes a tremendous strain when the market cap of SWN stock stands at just over $3.4 billion. However, I like this equity at these levels despite the risks. First, El Niño decreases the likelihood of another price decline like we saw one year ago. Secondly, thanks to export facilities owned by Cheniere Energy (NYSEAMERICAN:LNG) and Dominion Energy (NYSE:D), natural gas exports more than doubled this year. The natural gas export industry remains new. As such it will see tremendous growth. Moreover, natural gas commands much higher prices in Europe and Asia. When those regions experience cold winters, SWN stock can now benefit. Finally, the current PE stands at about 6.3. This comes in well below the five-year average PE for the stock of 16.5. I believe the factors remain in place to take the stock beyond this multiple. No upstream energy stock will become a “buy and hold” stock. Commodity prices always have and always will see periodic crashes. However, price crashes should not become a near-term worry under current conditions. For this reason, energy investors should buy into SWN stock, at least until natural gas prices see a massive surge. Investors should look beyond debt worries and weather forecasts to trade SWN stock. To be sure, risks remain. Natural gas prices could and eventually will see a dramatic fall. Moreover, debt levels which exceed the size of the company should always concern investors. However, El Niño should bolster natural gas prices in the near term. Moreover, the relatively new, transcontinental natural gas export industry has begun to quietly and rapidly grow. As such, investors can now benefit from the much higher pricing seen in Europe and Asia. No investor should ever buy and hold an upstream energy stock. Still, for now, signs point to a higher SWN stock price in the months and years ahead. Article printed from InvestorPlace Media, https://investorplace.com/2018/11/cold-winter-swn-stock/.